We’ll be first in line for this one come summer 2015. A Palo Alto psychiatrist addresses the rash of teen suicides in Silicon Valley. A merge made in heaven. Speaking of coffee, no matter where I travel these days and no matter what coffee shop I’m in, I seem to be drinking out of these pretty mugs. The Bread Board Dinner trick. After three serious concussions, an 11-year-old superstar (and his family) face a tough decision about a sport he lives and breathes. Such a cute idea for a birthday party. Let’s get this party started, Christina Tosi! Seven Solid Podcasts for those feeling the Serial void. This YA novel is supposed to be hilarious. Those of you on instagram, follow #sarahbeforeseven for dinner ideas and @chefjacqueslamerde for laughs. When David Chang calls someone “The Best Chef on Earth,” it’s probably a good idea to pay attention. How to make the perfect omelet. As a psychologist and professor, I have been so concerned about the suicides in Palo Alto. THANK YOU for posting this column – it was so, so wonderful, and filled with parenting and life advice. Thank you! The Simple Rules for Eating is already hanging on my fridge, and is a daily reminder that simple doesn’t mean easy. We do the bread board idea just about every Friday when dinner prep fatigue sets in. Only ours usually involves a big pot of stove popped popcorn in lieu of crackers or bread. Great way to clean out the fridge of random fruit and veg before shopping for the week. Love it all. What size paper loafs did you use? Medium or Large? @Kelli – I have a mix of both. 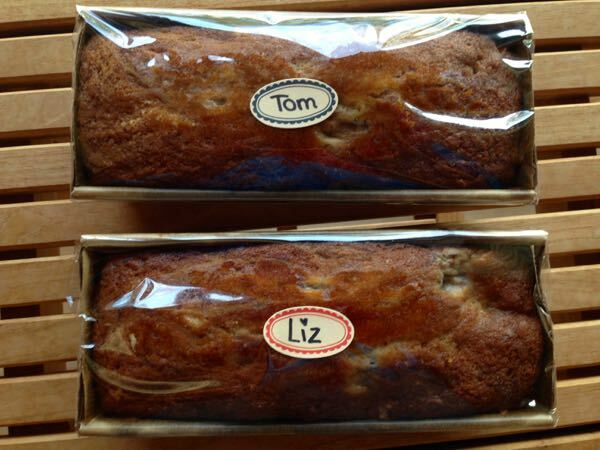 Teacher Appreciation Week is fast approaching…my scholars may be giving home baked bread in paper loaf pans as gifts! I really love the articles on simple rules for healthy living and the perspective on the PA suicides (my favorite line — “it’s better to be a koala dad than a tiger mom.”) 🙂 Thank you for sharing! After even one brain injury, how can quitting sports be a tough decision?? Our society’s obsession with sports is incredible–and too often, incredibly misguided. Nice, simple banana bread recipe! I used spelt flour, added ground flax, and used yogurt instead of sour cream and it still turned out perfect. Much simpler than my usual recipe, which I’d abandoned. Thanks for the shout out to Christina Tosi. She’s a cousin and my kids think her recipes are completely weird and totally awesome!